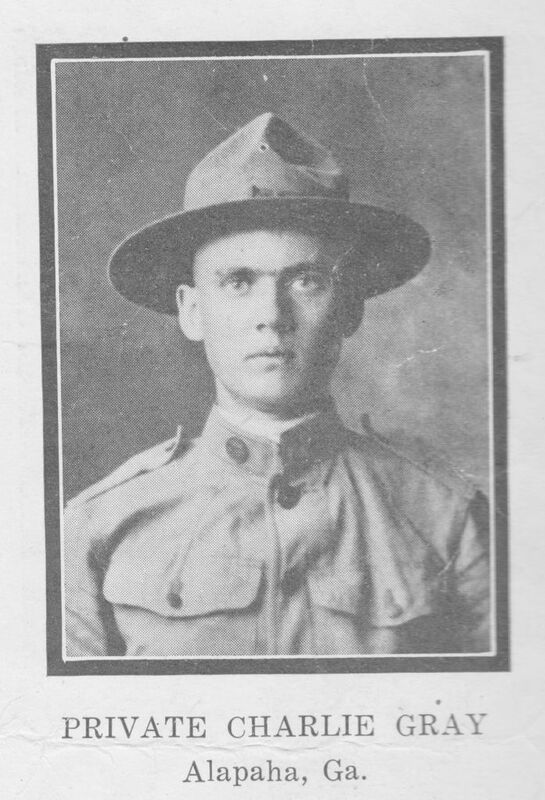 Private Gray entered service July 16, 1918, at Ft. Screven, Ga. Was attached to Battery “C”. 75th Regiment, Coast Artillery Corps. Embarked for France in October, and after a brief period of training in a foreign camp, contracted pneumonia which resulted in his death November 28, 1918.